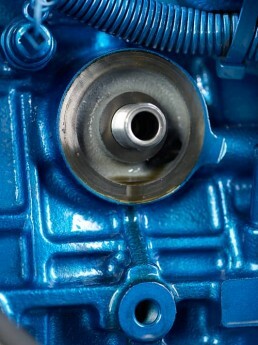 Every certain hours you should do an engine maintenance. (depending on manufacturer advise) This will ensure a longer live and a safer sail. We have done this tutorial that you can do it yourself. Allow the engine warm up at least 5 minutes then turn it off. 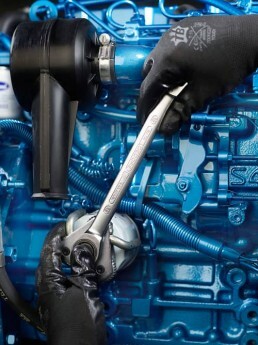 Remove the oil drain plug using ring spanner or similar (size 18). 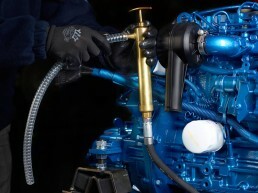 Connect the external oil pump to the end of the oil drain hose for oil pumping. Place the outlet of the pump into an oil collection container. Wait for a while to drain the engine completely. After the drain operation put and tightens the oil drain plug. 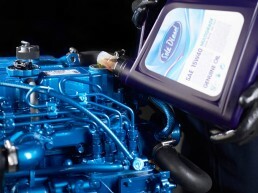 Fill with oil (For a Solé Diesel MINI-44, the oil capacity is 6 liter. ), or according to the oil circuit capacity and specifications described in your boat engine instructions manual. Start the engine for 1 minute and check for any leaks. Stop the engine and wait for 5 minutes before checking the oil level. Now, check the oil level. The oil mark on dipstick has to be between H and L marks. Do not put too much oil in the engine! If your oil level is too low, fill it up. 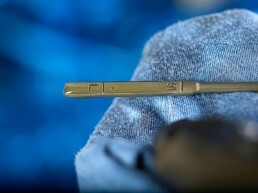 In case of engine is not perfectly balanced (mounted horizontally), contact the engine manufacturer to determine the correct oil dipstick mark. 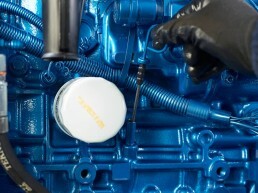 Remove the oil filter using a filter extractor. 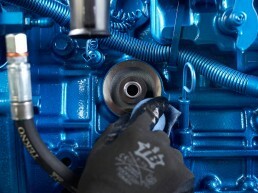 Clean the surface of the engine block where the new filter should be placed.